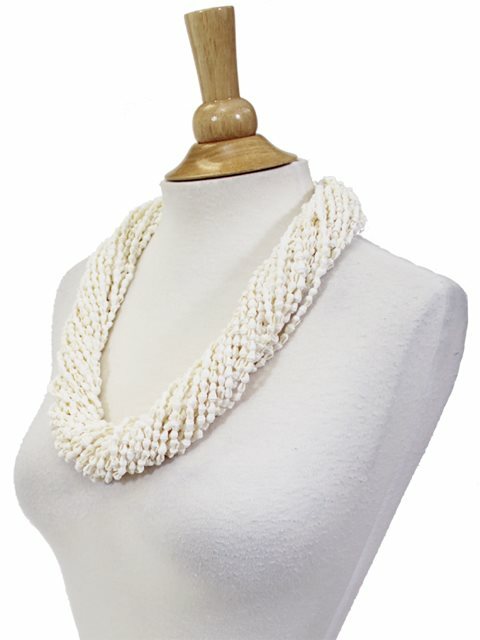 Our White Nasa Shell 24-Strand Lei is about 30 inches (72 cm) long with gloss white kukui nuts at the tied ends. Another beautiful necklace. I was meant to give some away. I ended up keeping them all. Sorry I have to order some for the others as gifts. One of my favorite items and will end up ordering another for my daughter.